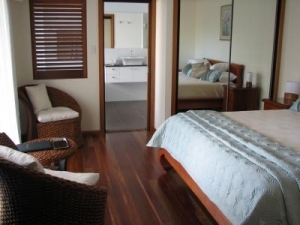 Parle on Buderim Two rooms with AAA 4.5 star luxury accommodation located at 6 Parle Crescent, Buderim Queensland. 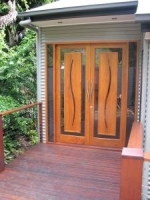 A contemporary hideaway, featuring classic timbers which blend into Buderim's famous rainforest environment. Located amongst the trees and yet only a 400m stroll to Buderim village and Buderim Forest Park. This retreat was specially designed as a haven for those wanting to get away from it all and just relax. Both rooms have exotic king size beds with pillow top mattress and a selection of three types of pillows (feather, woollen and poly filled), 1200 thread count linen and top quality bedding. Located on the ground floor with private entry and security screens, both private en-suites featuring quality fittings. 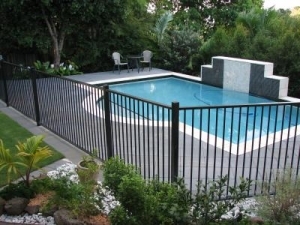 Select either the Buderim Suite with spa bath and separate shower, the bedroom opens onto a large covered deck overlooking the gardens and pool area. Or the Romantic Suite opening onto a unique and secluded rockery retreat with lush vegetation. In the morning enjoy a leisurely breakfast while you decide which of the nearby attractions to visit. Our breakfast menu is varied. Our sample menu includes fresh fruit, juice, cereals, yoghurt, a variety of breads, complimented with a hot breakfast, bottomless tea or coffee on the covered deck overlooking the pool and gardens. Relax in the sparkling salt water pool with spa and cascading water feature, or lounge on the large paved area by the pool and soak up the Queensland sunshine. Situated on the Sunshine Coast only a few minutes drive to beautiful sandy beaches, world class golf courses, bowling greens, markets, restaurants, wineries, galleries and shops.